To pour (a liquid) from one container into another. We painstakingly pour, spray, funnel or use sterile pipettes to take perfume from it's original bottle and carefully place it into a smaller sized glass vial or bottle. We are extremely careful with our perfumes and materials and are proud of our surgical attention to detail. We only use new sterile vials and never dip a pipette twice. Our clients will not receive a licensed product in a licensed bottle. You will receive the unaltered, original perfume transferred to a different vessel for your sampling pleasure. The Posh Peasant is not affiliated with the manufacturer, the perfume houses or the perfume product in any manner. However, we guarantee each and every hand-decanted perfume in it's authentic and unadulterated perfection. We would never consider selling anything other than the purest perfumes. Decants allow you to try as many perfumes as possible on your skin without buying a full bottle. Sadly, many department stores no longer give perfume samples upon request, and most stores only have a few set brands they they are pushing and will stick those samples in your bag only after you have purchased another perfume or cosmetic product. Decants allow you to have a stock of your favorite perfumes, in easy-to-transport vials that you can put in your purse, your car, your office and your suitcase rather than carrying around the large bottle. Decants make wonderful gifts. It's often difficult to purchase perfume for someone else. 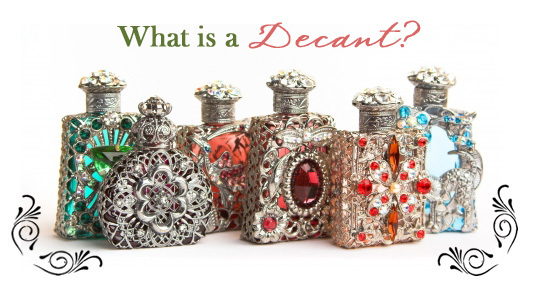 If you buy several decants a gift, you are giving that person several different perfume options to choose from, many of which may be rare or not available in the US. And last but not least, decant purchases are frugal, particularly for the rare and exclusive perfumes. You many not want to pay for an expensive full bottle before being able to test it on your skin a few times. You also may not be able to travel internationally to buy perfumes not sold in the US.